Artist Max Alexander of Max's World takes her knitting to a whole other level - turning it into jewellery, and sculptures and even award-winning knitted stop-motion animations that she calls knitimations. 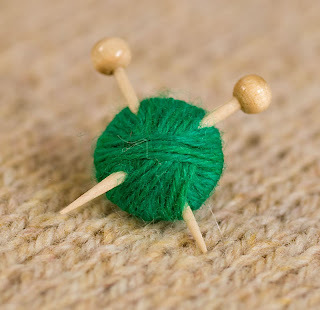 A graduate of the Camberwell College of Arts in London where she studied sculpture, Max enjoys the creativity that comes from taking yarn and a set of needles and making something that wasn't there before - just like the rest of us! While some of Max's projects have a darker twist (like a severed demon's head! ), most of her projects embrace a sweetness of spirit and unexpected whimsy that are sure to bring a smile. Her most popular? 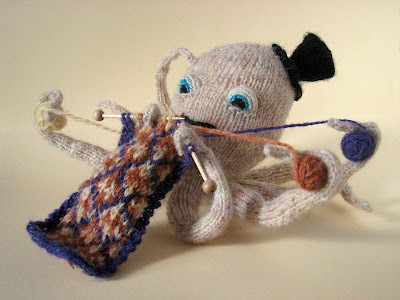 A knitted octopus that made the rounds of several blogs a few years back and is now available as a pattern on Ravelry. 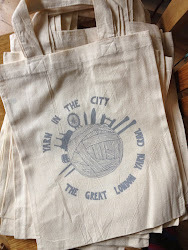 We're very grateful that Max got in touch when she heard about the Great London Yarn Crawl and offered some of her wonderful creations as door prizes for our after party. Two lucky winners will win one of Max's jewellery creations, along with a notecard of the knitting octopus! 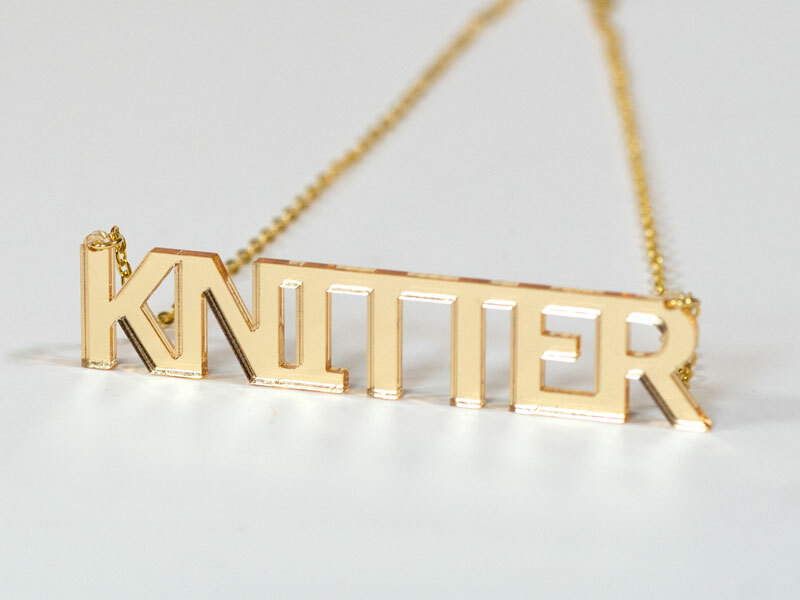 Who says knitters can't wear bling? We also have some coupons for 10% off your next order in Max's online shop. There are only 20 though, so they'll be randomly tucked into the goody bags. Make sure to see if you're one of the lucky ones to find one!